National Key Laboratory for Remanufacturing, Academy of Armored Forces Engineering, Beijing 100072, China. In order to study MIG welding process of aluminum alloy with longitudinal magnetic field, thermal efficiency with longitudinal magnetic field was analyzed, as well as softening behavior of heat-affected zone (HAZ) and base metal were investigated. 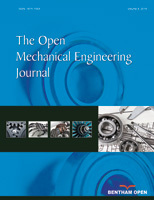 The results showed that under the action of longitudinal magnetic field, welding current decreased and resultingly total heat input reduced as the exciting current increased, meanwhile at the anode surface current density and heat flux density decrease in the arc core and rise at the edge of arc, which made arc thermal efficiency increasing and melting efficiency decreasing. As a result of action of the magnetic field, the trend of grain growth of HAZ slowed down and the influence on base metal of heat input decreased. When the exciting current was 20A, microhardness of HAZ and base metal improved evidently. However, as the exciting current continued to increase, the effect of magnetic field on softening behavior did not change significantly.